Police are asking for help locating Antoine Markens, 30, who is accused of shooting another man in the stomach after an argument on Saturday night. CROWN HEIGHTS — Police are asking for the neighborhood’s help locating a man they say shot another man in the stomach after the two had a "tenant dispute" Saturday night. Antoine Markens, 30, argued with a 24-year-old man at an apartment on Montgomery Street between Rogers and Nostrand avenues about 10:30 p.m. Saturday, police said. Markens pulled out a gun and shot the other man in the abdomen, sending him to Kings County Hospital with non-life-threatening injuries, police said. Marken then fled the scene of the shooting. The NYPD did not have additional information on the dispute. Markens had not been arrested as of Monday afternoon, police said. 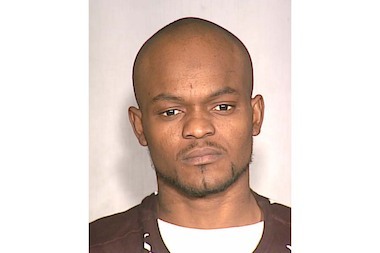 He is 5-foot-10 and weighs 160 pounds, according to the NYPD. The assault took place in the 71st Precinct, which has seen a marked decrease in shooting incidents this year over last, according to the most recent police data. So far this year, the precinct has seen seven shootings, which is a decrease of more than 50 percent compared to the same time last year, which saw 16 shootings. Anyone with information in regards to Anthoine Markens or this shooting is asked to call the NYPD's Crime Stoppers Hotline at 800-577-TIPS. The public can also submit their tips by logging onto the Crime Stoppers Website at WWW.NYPDCRIMESTOPPERS.COM or texting their tips to 274637(CRIMES) then enter TIP577.